One of the main aspect of increasing your Page Rank and SEO is “Backlinks”. The Backlinks are basically the links that keep the track of other pages that are linked to your posts. For example, You have found an interesting post on net of John and you followed that post and wrote about it in your own blog and linked back the post to John’s post. Now John’s post will automatically show that you have linked to it, and it will provide a short snippet of his text and a link to his post. In short, backlinks are links that are directing from another website to your website. The search engines on the basis of backlinks to your website determines the status of your website. The main importance of Backlinks is that it increases the SEO and Page ranking of your website. There are many tools that provide backlinks to your website, but in my view this is not helpful at all. If you will use backlink Generator to your website this will led to backlinking of even low- level site, this may drop down your image. The backlinks provide an increase in traffic to your website. 1. It is better to have 100 quality back links than 500 low level backlinks. 2. 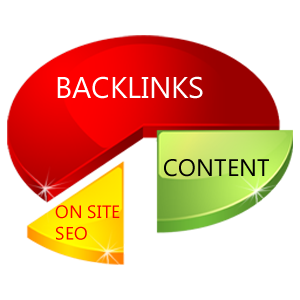 Backlink generator is tool that helps to decrease your efforts for backlinking to your website. This tool helps to find the other websites that resembles to your website. But don’t depend completely on this tool. 3. Make as many quality links you can make by communicating with good site owner’s and thus add quality links to your website. There is a great confusion in every one’s mind about inbound links and outbound links. Inbound Links: These are the links that redirects to another page within your website. These links help in increasing clicks on your page. Outbound Links: These are the links that redirects you to another website through your website. First step – Go to your blogger home page. This is all about backlink’s and if you have any queries than contact me !!! !